Despite being one of the most well-respected set ups in the British women’s peloton, and achieving a number of impressive results in some of the biggest races on the calendar, the Drops women’s team were nearly forced to close in 2018. Luckily, after a lot of hard work behind-the-scenes, the team is still racing into 2019 and they’re just as determined as ever to put on a show. The support of loyal partners, like Every Can Counts, and the belief of new partners, like the team’s new kit supplier Le Col, has been key to keeping the team on the road. In this the second of three parts, I speak to the two companies about how and why they came to be involved in the team, how they go about measuring the return on their investment, and their thoughts on the women’s cycling scene. If you missed Part 1, catch up on it here. We’re a programme which is funded by the producers of aluminium and aluminium drinks cans, and we’re basically an awareness programme to encourage people to recycle drinks cans. So whether people are at home or watching the team, our aim is to remind race-goers that cans are valuable and they’re infinitely recyclable. So that’s what we’re about, we’re an awareness programme trying to change people’s behaviour. Why did you originally get involved with the Drops team? One of the reasons we got involved with the team was we recognised that by and large people who are into cycling and pretty conscious about the environment and certainly the environment that they ride in or watch the races in so it would potentially be a good audience for us in terms of engaging and getting our message across. Our messaging, we felt, was pretty complementary with cycling. Watch a short film about the partnership between Every Can Counts and Drops at https://www.youtube.com/watch?v=xXs6l1lSV3A. Are Drops the only sport team you support? Absolutely. It’s the first time we’ve embarked on any kind of sports sponsorship. We do a lot with events like music festivals and things like that, but that’s more about organising collections and doing consumer education work. But our partnership with the Drops team is the first and only time that we’ve engaged specifically with sport and sponsored a team. Why did you choose Drops over other teams and why did you choose cycling over other sports? The history of how we got into it is actually quite unusual. We have sister organisations around Europe that do very similar work to us. 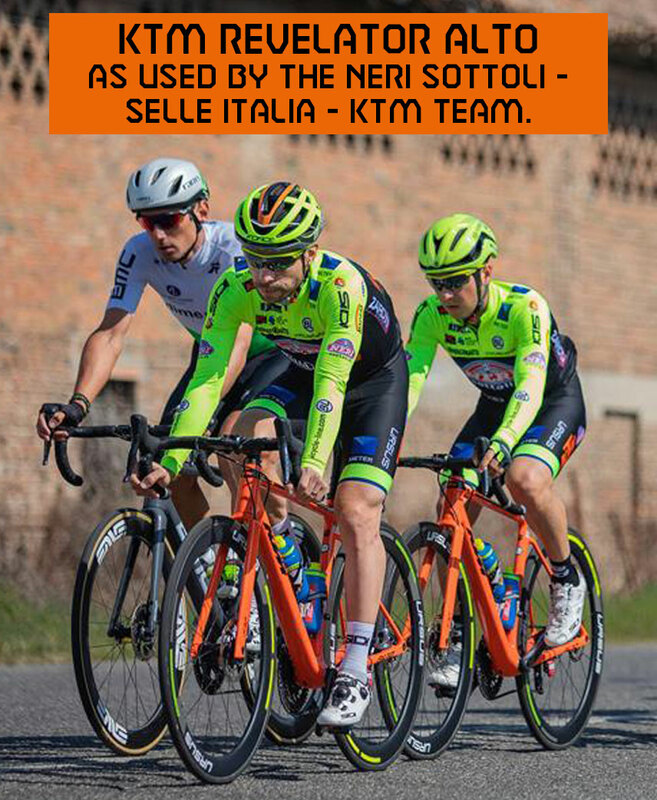 It was back in 2015 when one of these organisations in Italy called CiAl were sponsoring an Italian cycling team called Servetto Footon. That team at the time had two English girls, Abby-Mae Parkinson and Jessie Walker. Our colleagues contacted us and said this team’s got two British riders, how about you guys get involved and put a bit of money in and you could do some stuff with the British riders. So we thought “why not?”. So we put just a little bit of money in and got involved with the team and got to know Abby-Mae and Jessie very well. They did some PR work for us and Jessie particularly did some stuff over here for us, some radio work for us which worked really, really well. Jessie and Abby-Mae parted company with Servetto Footon, but our experience was really good with cycling and we thought “there’s something in this”. So we started to look around for a British team and it just so happened that Abby-Mae at that time went to Drops. Through a totally different route, I was introduced to Bob [Varney, Drops co-team director] who at the time had his team which was going places and he was looking for sponsorship so I was put in touch with him and it went from there. It was just a happy coincidence that Abby-Mae joined the team as well. The team’s values matched with ours so it seemed like the perfect partnership. This remains the case today. How do you measure the return on your sponsorship? And has the Drops team been good value for money? Well Bob would always say that we’ve been more proactive than most sponsors, not just with Drops but generally. We embarked upon this and said we’re not just going to stick our logos on the kit, we really needed to engage and to animate the sponsorship. Like I was saying earlier, our aim as a business is to raise awareness of aluminium recycling and that isn’t something that you can get across with just a simple logo or strapline on the kit. So we developed “The Recycle Race”. We have taken the activity to major races in the UK and across Europe; we took it to the Tour de France last year. It is an interactive activity where people would cycle bikes and power a drinks can round the recycling loop and it was incredibly successful. It gave us the opportunity to engage and talk to thousands of cycling fans. So we’ve engaged at the races themselves and we’ve talked to people there, and the team always visit us when we go to the races so that’s an added draw. We’ve also been very active on social media and the team has had a massive impact on our social media reach, particularly last year. So we measure the impact by the number of people we speak to at the races and the reach of the social media activity. The girls have been fantastic ambassadors for what we do. They all are very aware of the environment and I think they like to be associated with a programme or brand that’s doing a positive thing, and we’re not-for-profit and I think that has made it easier for us in getting the support of the riders themselves. They are all passionate about caring for our environment. It can be quite unusual, especially in cycling, for sponsors to stay with a team for quite a number of years and this will be your third year with Drops. Is it the quality of engagement that you’ve received that has kept you so loyal to the team? Well when we embarked upon this, I had to sell the concept to the board first of all, which was obviously a bit of a challenge as we’d never sponsored any sort of sports team before. The board saw the opportunity with cycling, the fact that it was becoming more and more popular, on TV more, and they saw the perfect fit. At the very outset, the board said if we’re going to do this, if we’re going to get a decent return on investment, we can’t just be in for a year, we have to make a commitment and we have to be involved for a number of years. So initially they said, to really get the benefit of this, we would need to be with the team for at least three years. We haven’t made a long term commitment with the team, it has been reviewed on an annual basis, because, being an industry organisation, we don’t have guaranteed budgets beyond the year that we’re in. So we’ve not signed a three year contract or anything like that, it’s been done on good faith. But because we’ve seen the benefit, and we’ve seen the benefit grow year-on-year since we started, the commitment has remained and obviously the team have been through an extremely difficult time over the past twelve months and we’ve been really pleased to be able to support them and give them the confidence that at least one of their significant supporters was still very much behind them. What were your thoughts when you heard the team were in trouble? Well to be honest we were all shocked. I’ve said to Bob and Tom [Varney, Drops co-team director] on several occasions that I don’t know how on earth they’ve survived the last twelve months, where they’ve been let down at least twice by significant sponsors who were going back on commitments they’d made to the team. But you really have to admire what they’ve done for the team, and at the heart of it is their interest and the support for the girls. They see themselves as a development squad, they are absolutely committed to their riders, and I think there is nobody who could criticise them for what they’ve done over the past twelve months to try to protect the team and keep it going for the future. The whole situation has been incredibly painful to see, but it hasn’t weakened our resolve for the team. We’re absolutely delighted that we’re working with them again for the third year, and we’re confident that we’ll get as big a return as we’ve had in previous years. We’re keen to work with them to secure the future of the team. So are there any other sports you’re looking at getting into? No, we’re not at a point where we’re looking for any opportunities in other sports. In the short space of time that we’ve been involved with women’s cycling, the sport has changed quite a lot, facing some big challenges but also some new opportunities. We’re still really positive about women’s cycling and it’s certainly heading in the right direction, and we just absolutely hope that Drops will remain part of the scene going forward. So did you ever consider men’s cycling? No, we didn’t, to be honest. The price of entry into men’s cycling, at the same level would be beyond us, but we truly believe in equality and we thought that getting involved with and supporting women’s sport was something which fitted better with the values of our industry. You can see that whether it’s football or rugby or any of the women’s sports, they’re now becoming much more well publicised and supported and we’re really pleased to be part of it. We thought that we could have more impact in supporting women’s sport than we would supporting men’s. What would you say to any companies considering getting into sponsoring women’s cycling? I’d absolutely encourage them to do it. The exposure is only going to get bigger. Each year, we’re seeing more TV coverage, more exposure in the media in general. So I would certainly encourage them to do it. I would absolutely reiterate, though, that you have to commit and get involved with not just sticking your logo on the kit but you have to get really actively involved with working with the team and developing activities to support the engagement. Our experience in women’s cycling has been fantastic. We love working with Drops and we have some great ideas that we’ll be developing over the next few months to further develop our partnership with the team. I had a really good call with Bob last week where we agreed some new activities which we’ll be announcing over the coming weeks. We’ve got high expectations for the girls and the team. Clearly they’re not in the position that they would like to be in terms of funding but, knowing Bob, he’s absolutely committed to make the best of it. I’m absolutely sure we will see the team and the riders doing well and punching well above their weight over the coming weeks in the major races that are coming up. When did your partnership with the Drops team begin? Did they come to you or did you approach them? It was quite late last year, actually. It was later than most contracts and supply deals are negotiated because with all the troubles they were going through they were struggling to find a kit deal and obviously I knew about them and I was quite interested in the opportunity to work with them and supply a UCI Women’s Team. I thought that would be a really positive aspect for us, although obviously it wasn’t good for them to be in that position. So was it after they started having issues that you came on board? Yes, I think they were dropped by another supplier, partly I think due to a budget drop and also not being selected for some of the international races. But we saw them as a strong asset and a strong part of our work. It was something we were quite keen to be part of. What is it about the team that you liked? They’re real grafters. They don’t let obstacles stop them trying to achieve their objectives, and I think that’s something that I really resonate with as a rider and entrepreneur. As someone who’s come through the sport, I know that you can’t let challenges stop the game. Both Tom and Bob have been really diligent about how much hard work they’ve put in to keep this team together and make sure that they have an opportunity to show what they can do this season, and I felt like that was something that deserved a bit of recognition. We’d actually already allocated our sponsorship budgets but we reallocated some funds specifically to support the Drops team and I’m glad we did that. When you’re supporting a team, how do you measure the return on your sponsorship investment? There are a couple of different ways to do it. I mean naturally nowadays, with social media and how connected the world is, you need to have regular interesting and relevant content. So that obviously means if you’re selling women’s kit you need as much women’s content and stories and results and pictures and information as possible to be sharing with our customer database. That’s really important. The way to measure value is actually quite difficult it’s connected to how big a platform you are. So for instance if we sponsored a women’s team and we had 10,000 women in our database then they would have X value and if we had 100,000 women in our database then that same team would be worth more to us. So actually it’s quite a difficult line to draw and say the value of that is X because actually it depends on a number of other things; the quality of our work to inform our database of the sponsorship opportunity, how well we activate it, how much other money we spend on it and what our work and visuals all look like. If any of those aspects are a little bit average or substandard then that brings down the value of the full sponsorship deal. So we’re obviously really keen to try to push those things as hard as we can to make the most of everything. At the same time, we want to promote the team and their results but equally the characteristics, some of their personal stories, where some of the girls have come from and where they’re getting to, those things that are equally important to people reading about it. You support men’s teams as well, most notably Team Wiggins. In terms of value for money, how do you think men’s and women’s cycling compares? I think they’re about the same, to be honest. Unfortunately for women, it just isn’t as popular to watch and it isn’t as popular in participation. We have quite a good women’s to men’s sales ratio, but it’s certainly not as big as the men’s side. But because it’s a little bit less expensive to supply a women’s team, the value for money is actually still quite good. The women are working just as hard as the men and achieving just as good results, it’s just that’s all they’ve got to work with. It’s really important for me to ensure that we do have those stories to tell, we do connect and support those people, regardless of gender, then they’re working hard and doing a good job achieving results and that’s something that’s really close to my heart as the founder of the company and also an ex-professional cyclist myself. I know what it takes to achieve those results and those stories and that genuine work ethic is really important when it comes to women’s teams as well as men’s teams. What are your thoughts on where the women’s cycling scene is at right now, both domestically and internationally? There’s an odd kind of strength and weakness simultaneously happening and it’s a bit bizarre because you’d think if there’s a strength in one area it would sort of permeate through across all the other areas. For instance, you’ve got the Women’s Tour, which I think is a fantastic race and is going to all the great venues that the men’s race does, which provides a great platform for women to perform and show their quality, but then you’ve got teams like Drops struggling to get sponsorship. But then it’s happening in the men’s industry as well; there were a couple of men’s domestic teams that stopped recently. I think it’s a bit challenging, but I think teams like Drops have to ride it out and I think that was one of the things that Bob and Tom both understood, and that was why I was keen to get involved, even if it’s only a modest contribution relatively to what the team requires to run fully for a year. It’s important that it stays alive because it can come round again but if the project goes dead then obviously there’s no opportunity for that to grow and develop. Reviving something from non-existence is a lot harder than reviving something that has been sort of ticking over in a holding pattern for a year or maybe two years. That was something that I recognised and obviously the team has benefitted from the hard work of everyone involved, from the girls to all the staff. We want to be supportive partners to make sure that they have the minimum to keep going and then if there are better opportunities in the future then they will definitely be in a position to pick that up and hopefully thrive a bit better in a more able and successful industry. When Every Can Counts came on board with the team, they specifically had a three-year plan in mind. Will your partnership be year-on-year or are you looking at supporting the team for a number of years? We do a lot of long-term partnerships, I think they’re really important, but we didn’t have a plan to support the Drops team and we hadn’t been through a planning session around what that would look like. So in all honestly, I haven’t looked at how many years this will happen for. But like I said I really value long-term partnerships and I think you can learn an awful lot between year one and year three or however long it lasts. It’s actually not that helpful to just do one year because the learning process around what each other’s expectations are and how to make the most of the opportunity does take more than a year. Naturally when you supply kit you do that at the beginning of every year so actually you’ve got about a month to sort it out and then they use that kit for twelve months. So if you’ve not got the prospect of the partnership continuing the year after and the year after that then everything that you learn between when you deliver the kit and the end of the year is pretty much wasted because you’ve not really got an opportunity to put what you learn into practice. I think it’s really important that long-term relationships are begun and started with that intent to improve all aspects. And that’s not to say the product isn’t good already, it’s just there are nuances and personal preferences that can be and should be included in how we supply the kit to all of our teams. You mention about that development process, and obviously kit is an area which can be very gender-specific. Do you work closely with the women’s teams, like Drops, to develop your women’s range to make it more suited to female cyclists? Yes, absolutely. I hate a product that is a compromise, and I mean that in every sense of the word. If a jersey is a race jersey, it should be tight-fitting and aerodynamic, it shouldn’t just be comfortable and loose-fitting for casual rides to the cafe and back. They’re completely different target audiences and it’s the same for gender-specific products. We’ve actually been working with women’s teams for a number of years now and constantly getting feedback. I personally tested the men’s kit before we gave it to the team’s, but I knew what I was doing and I was racing at the time so I was well placed to provide that development feedback. But obviously I can’t really go out and test women’s kit, well not in public anyway! So the women’s teams that we’ve supported and worked with have been really crucial to the development of our women’s range. We wanted to make sure that we were giving our women’s products just as much attention as the men’s because ultimately those marginal gains are just as important. At the core of what we deliver is making sure that what we deliver is technically correct and specifics to the women’s needs. And clearly the Drops team are racing at the highest level and they’ll be really pushing our kit to its limits so we’re really keen to work with the Drops ladies to continue developing and evolving our offering. I think all cycling-specific brands should sponsor a women’s team. I think there’s one aspect of getting a return from a sponsorship deal but equally there’s also the giving a bit back to the sport. I talk from a very personal point of view, having come through a racing structure where I was supported through my youth and young adulthood to achieve what I did. I got to see the world and meet amazing people and I had incredible experiences and the support I got was something that took me right through to my retirement. I do think that is part of a personal development process for young athletes to come through and learn about real life and being an athlete and what it’s like to commit to an objective that might be six months, twelve months, three years away. Those are all really, really strong things to learn about and understand as you grow up. There are so many different nuances to what sponsoring a team means and I think it’s important that if you do sponsor a team you stay close to them; you benefit from their results but equally you look for the ways to make the best of the opportunities. Hopefully we can do that with the Drops team and I certainly look forward to working with them and seeing them progress. Part 3 of this feature, in which I speak to two of the team’s riders, will be published very soon.